The state-owned Chinese company Changsha Zoomlion Heavy Industry Science & Technology Development Co., Ltd was established in 1992 in Changsha (Hunan Province). 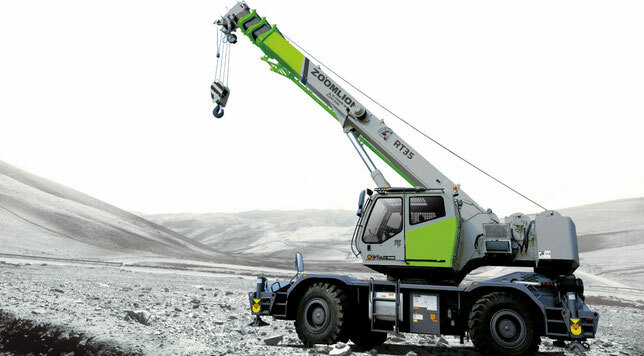 The main specialization of Zoomlion is the production of construction machinery and equipment for construction, energy and communications: automobile concrete pumps, stationary concrete distributing booms, truck cranes, tower cranes, crawler cranes, truck mixers, motor graders, road mills, asphalt pavers, road rollers, asphalt and concrete plants, installations, bulldozers. This large holding includes, in particular, the company Puyuan - manufacturer of crawler and truck cranes. In total, there are 13 categories, 28 series and more than 450 types of products. In 1999, the company underwent serious reforms and since that time demonstrates an annual growth of about 60%. In 2008, production was 24.6 billion yuan, and profits exceeded 3 billion yuan. The Holding is one of the ten largest companies in China and ranks 24th in the world rating (according to data for 2006). The current production bases of the company are located in the Chinese provinces of Hunan, Shaanxi, Guangdong and in Shanghai, as well as in Milan, Italy. A total of 9 industrial parks with a total area of about 3 million square meters have been created. m. Annual production of cranes on the automobile chassis is more than 5000 units, tower cranes - over 2000 units. The company has about 20 thousand employees, 40% of which are technical specialists at the top and middle level. The company is certified according to the international standards ISO9001, ISO14001 and OHSAS18001, has the European CE certificate, TÜV (Germany) and GOST (Russia) certificates, the Korean Safety Certificate. About the company's achievements in the field of engineering and technology, 165 new industrial criteria, 159 patents, 16 of which are world-class, numerous state, territorial and industry awards for technical achievements, including the National Prize in the field of technical progress, the National Prize in the field technical innovation, Gold Medal of the National Technical Market.